Q: What is the timeline for applying and being notified? A: There are two rounds of grant-making each academic year, so students in both the fall and spring semesters can participate in the reading, ranking, and selection of proposals. The fall deadline each year is September 15, with notification of awards in November. The spring deadline is each year is March 1, with notification in late April. We expect to award a total of $40,000 in these two cycles. Jackson Koeppel s09, a Spring 2014 grant recipient, founded Soulidarity, whose mission is to empower the community of Highland Park, MI (Detroit) to collectively plan and own 200 solar-powered streetlights. Q: What size grants are available? Each application should address the rationale for the specific grant amount. Since we have a limited amount of money to award in grants, the alumni and student committees consider partial funding in some cases. You will be required to explain in the application how partial funding may affect your proposed project, as well as a minimum amount of funding necessary to proceed with your project..
Q: If I am awarded a grant, what will be expected of me? 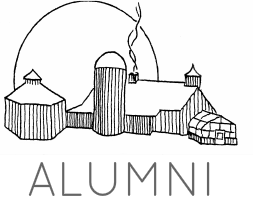 A: All grant recipients are asked to report back to the Alumni Committee on an ongoing basis to share their project outcomes or progress to date. You can use email, social media, or our update submission tool (TBD). Profiles of funded and completed projects will be posted on our Recipients page. Q: Who will decide which projects receive funding? A: The Alumni Committee and a selection of current Mountain School students make selections, and the student group has the final say on which projects receive funding and how much. Q: How do I donate to the Garden Hill Fund? A: The Garden Hill Fund has been made possible by the generous gifts of graduates. If you are interested in learning more about donating to the Fund, please contact Annie Janeway, Director of Alumni Relations. A: Please email Beth Sigman Somerset s97, Alumni Coordinator. Anna Leslie f01, a Fall 2013 grant recipient for her work with Ti Kay School Program, a program in Haiti established to address the educational barriers faced by Haitian children or their parents who are suffering from tuberculosis.